ℹ The biggest reason testosterone supplements are so widely used today is because almost all men end up suffering from low testosterone levels at some point in their lives. Generally, testosterone levels tend to gradually decrease when men reach their thirties. This decline in testosterone tends to get progressively worse over time, causing some serious problems. If you suffer from one or more of these symptoms, you more than likely have Low Testosterone to some extent and could benefit significantly from an effective testosterone supplement. Battery Testo is the ultimate supplement to help support your muscle building goals. Combining the most powerful natural extracts with one of the hottest, patented, research-backed supplements to hit the industry in recent years, the all new Battery Testo redefines the capabilities of supplementation. Battery Testo is an ultra sophisticated, comprehensive Testosterone, Estrogen and libido optimization support matrix with 13 carefully selected, potent ingredients! Battery Nutrition Tribulus capsules are made with high-quality Tribulus Terrestris. Each capsule contains 1000 mg of Tribulus Terrestris extract, standardized for minimum 400 mg saponins. Tribulus terrestris is a popular plant extract that is native to tropical and temperate regions. It has been used as a natural herb extract by many different cultures for various reasons including mood enhancement, libido and fertility. More recently it has been made popular as a performance supplement used by strength athletes to help increase size and power. Studies have attributed this effect to Tribulus’ ability to increase natural testosterone production. KFD T-Booster is a nutritional supplement for men. Testosterone booster containing the most powerful, proven and effective ingredients, including natural plant extracts. D-aspartic acid, also known as D-AA, is an amino acid naturally occurring in testicles, pituitary and hypothalamus – organs involved in the production of hormones. After a certain age, however, many men experience a drop in testosterone levels, which often leads to increased body fat, sleeping problems and inability to recover after a workout. Nettle has been known for centuries and has been widely used in folk medicine because of its healing effect. It is a valuable source of beneficial substances such as vitamins C, K, D, E, B2, carotene, iron, calcium, manganese, potassium, zinc, magnesium, copper, cobalt, and sulfur. Like the biologically active substances, histamine, serotonin, acetylcholine, hyperin, sitosterol, and others. TribuGreen is a nutritional supplement designed to help the body fight impotence, depression, decreased energy and power. 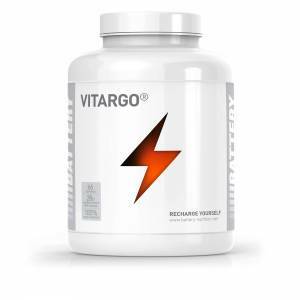 We have combined two of the most powerful natural ingredients that favor men’s health. TribuZan is a unique blend of highly effective natural ingredients such as Tribulus Terrestris, Nettle Plus Arginine Alpha-Ketoglutarate (AAKG) and Zinc for optimal physical and mental improvement of performance. Tribulus Terrestris is one of the most powerful herbs used for years as a stimulant of libido and muscle growth. Ultra Tribulus contains the most effective extract of Bulgarian Tribulus Terrestris, standardized to at least 60% steroid saponins and 45% protodioscin.